With the fast pace of technology advancements and workforce demands like working remote and BYOD, organizations are facing a necessary shift in IT security practices. It's no longer enough to protect only the perimeter of your network using a firewall or VPN to support remote users. As ransomware and malware attacks continue to evolve at the same pace as technology, businesses now need multiple layers of security to defend their users, endpoints, and data. Ransomware traditionally makes its way onto a computer or network through web or email. Once in the network, it can affect multiple endpoints, including your data center. A comprehensive cybersecurity strategy must be effective in preventing viruses from entering the server, as well as protecting from the inside out in the event that malware is downloaded. Think of all the connected devices you have in your environment, from each work computer to every employee smartphone. Among those devices, email and web browsers become potential gateways for malware to enter your network. Here is where your front-line security needs to be effective. Email providers, such as Google and Microsoft, build security policies into their products to detect and prevent the entrance of malware. Unfortunately, as malware attacks evolve, these policies are not always sophisticated enough to stop an attack. To effectively protect your email network from modern cyber-attacks, your business needs a comprehensive set of cybersecurity tools, designed to detect, prevent, and remediate attacks. One of the most common sources of malicious software, commonly known as "malvertising," looks like a normal advertisement, but can carry and install malware onto your device with the click of a button. Protecting your network at this point of entry is extremely important, as web browsing relies entirely on user behavior, making anyone a potential victim. The main objective of any malicious exploit is to create damage where it hurts the most, your network. The proliferation of internet connected devices has forced companies to protect the network as a whole instead of just endpoint security. To do this, companies must understand all the possible interactions that exist between devices throughout the entire attack continuum. Endpoint security can be designed to work as a centralized management system, leveraging software-based capabilities such as retrospective security to reduce complexity. Retrospective security is the ability to view a cyberattack on a timeline, enabling detection and elimination of files that pass all scans five days ago before being identified as malicious. Tying all of these together, network security encompasses all your layers of security, providing you with helpful insights to detect, prevent, and remediate. Using telemetry from your network infrastructure, you are able to identify threats and respond to them quickly, seeing malicious patterns in encrypted traffic. As your business grows and starts adopting cloud services, network security is key in a multi-cloud era, as it provides full visibility to your cloud traffic analyzing behavior and automating actions to protect your business. Having a comprehensive multilayer security strategy will significantly reduce the risks of a security breach and accelerate your remediation ability, but cyber criminals are constantly thinking of new ways to attack your network. 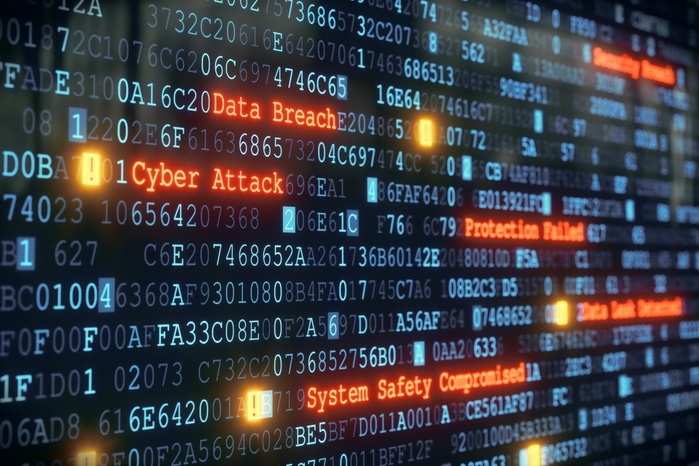 This is why many businesses obtain Cyberinsurance policies, protecting their organizations from the financial impact a breach may have. Now that you've seen how complex technology environments can be, protecting each and every moving piece, you must be thinking how businesses can manage it all. The answer is using management dashboards. IT cybersecurity providers and IT teams often use centralized dashboards to extract data, monitor networks, automate alerts on malicious activity, automate patch management, and even predict and prevent attacks before they happen. Cybersecurity planning can be a difficult task to take on, that is why some larger businesses have their own internal IT teams. However, not every organization can afford to have a dedicated cybersecurity team. Even enterprise-level businesses, who cannot risk any form of breach, need to hire specialized services to implement solutions. This is why IT companies offer Security-as-a-Service (SaaS). SaaS delivers the benefits of a dedicated IT team and keeps costs under control through subscription models. Architected by Tekscape, Arma is an end-to end managed security solution designed to protect your business beyond the network perimeters. Integrating components of Cisco's leading portfolio, Arma is a scalable solution that protects your organization throughout the entire attack continuum. Want to keep learning about modern cybersecurity trends? The Cisco Cybersecurity Report provides great industry insight into current security trends, the newest cyber attacks, and how to protect your business going forward.